WOW! 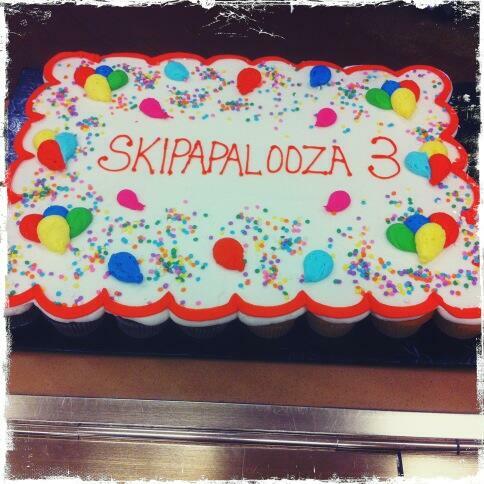 our annual bday bash, Skipapalooza was a hoot! every year, it just keeps getting better on both the music side of things and the personal side. twas great to see soooo many familiar faces and play the night with the likes of our acoustic duo, Raised on Promises and rawk out with the mtn dukes! the special guests from Luke Dukes Dad to the reunion of our powerpop band, Blenderhead were crazy good! the melding of RoP and the Dukes for a few tunes was a sonic delight to behold and we even played a song solo by request. that never happens! the cupcake cake was a great idea too AND no plates or utensils required! mtn dukes plan on a show every other month (a late May show perhaps and july 6th at eton house on the danforth is confirmed as next) AND to record some our songs live off the floor in order to get more gigs. more new tunes also in the mix as the dukes continue to fine tune a night of sonic goodness! raised on promises has a show tomorrow night in Barrie at the Local Gastropub. we also have a June date there as well. we hope to keep up the pace of a night there every other month moving fwd. so much fun to play a whole night as a duo and interact with the folk there in such a laid back setting! been casually jamming some 80’s alternative tunes with some locals. we may end up playing a house party here, a bbq there or maybe not at all. its all about the fun right now. 80’s tunes can be a hoot to play. as a bonus, so far we’ve stayed away from any serious 80’s cheese too! and speaking of good fun, we’ve recently joined the Jon Abrams Band to play a few festivals this summer/fall and hopefully beyond. getting our country on lately has been more fun than we first imagined! PLUS there are orgs in the mix. we’ve blogged often about our continued desire to play orgs and not covers all the time. this seems like the perfect way to do both as the sets are a good mix. more bass news to come. hoping to buy a pbass in the next month or so stay “tuned” for that. we had to say goodbye to our SG as we weren’t playing it at all anymore and pbass is the direction we are heading. we are REALLY enjoying our telebass right now. also, expect a post about learning country songs at some point too. until then, thanks for dropping by! we were lucky enough to score last min tix to the Stompin’ Tom tribute night at the Horseshoe Tavern last night. we could only stay for half the show but u take what u can get. one day we’ll share a few Tom stories of ours here. he was definitely an inspiration. we’ll get to that perhaps sooner rather than later. the tribute show was a blast. dug all the guests even the one who spilt our onstage beer. we had fun stompin’ along even though the front row was all cameras. so we got ours out too so we could fit in. silly camera peeps. at least they were friendly. actually every1 we ran into that night was friendly. very unToronto but that’s what happens when Tom unites us all. anyways, here’s the pics and some viz from a stompariffic night we will never forget! ketchup loves pooootatoooooees! 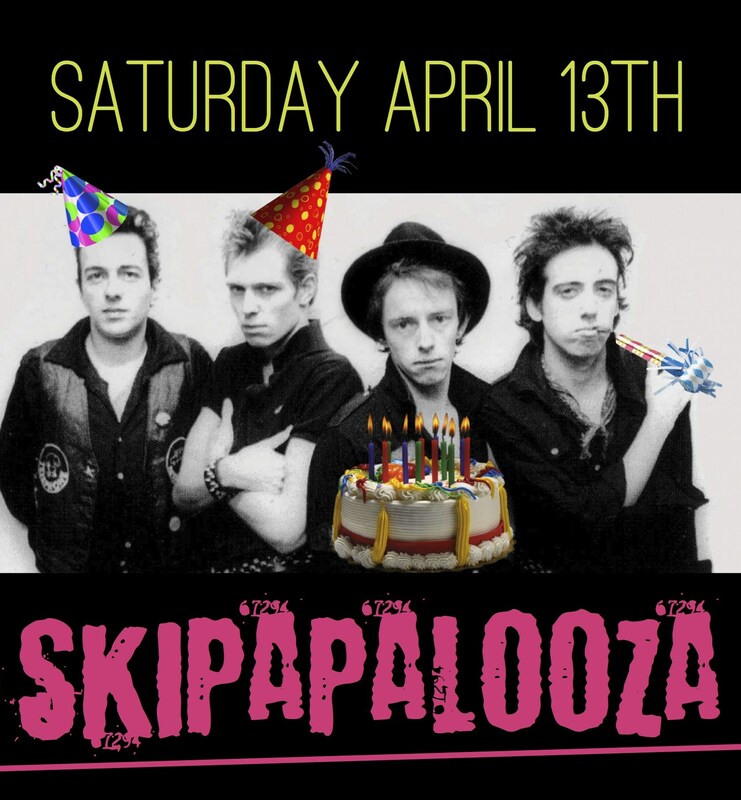 but first we gotta mention that our yearly bday celebration is this coming Saturday, April 13th at OnCue (349 Jane St) in Toronto! mtn dukes are the main musical source with a sprinkling of Raised on Promises and some surprises. lotsa pool tables, Toronto’s BEST perogies, bevvy’s and YOU! it gonna be a hoot! party starts once the Leafs game ends and goes til close. lots of songs both new and old on the agenda. can’t wait!